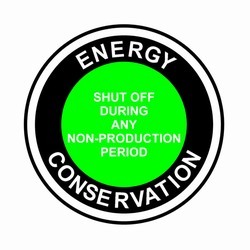 4 Color Process Imprint on White Sticky Back Vinyl Lightswitch Plate Cover Energy Conservation Decal. 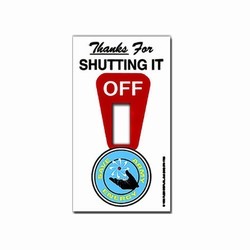 "Thanks For Shutting It Off. 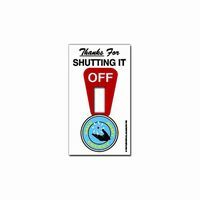 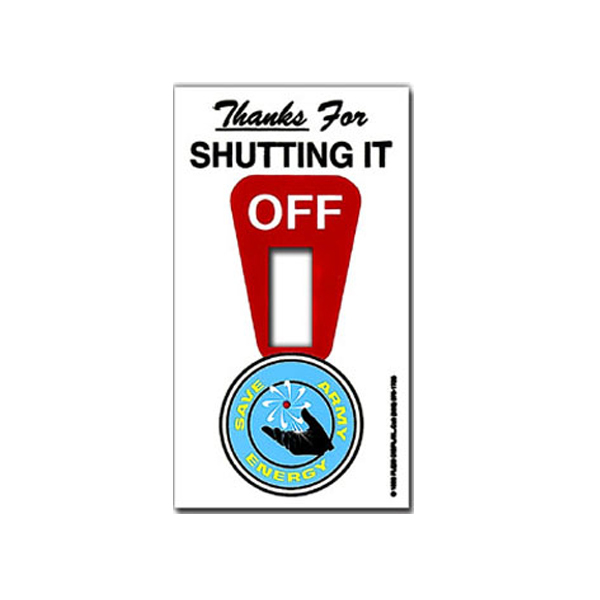 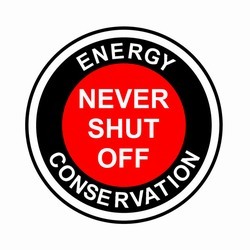 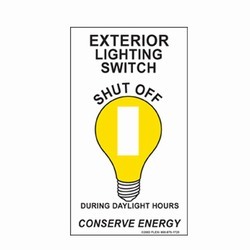 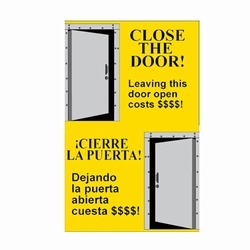 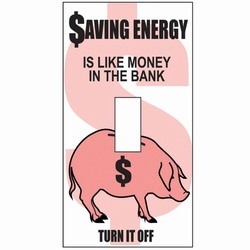 Army Save Energy"
AI-edltsw203-07 - 2 Color Exterior Lighting Switch Shut Off During Daylight Hours Energy Conservation Lightswitch Decal - 2 1/4" x 4 1/4"